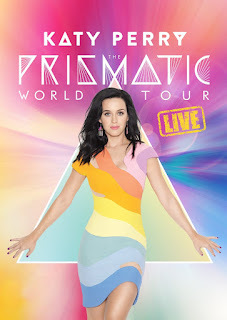 In this no-holds-barred full-length live spectacular filmed in Sydney, Australia last December, Perry performs the global smash hits “Roar,” “Firework,” “I Kissed A Girl,” “Dark Horse,” “California Gurls” and “Hot N Cold” along with other Billboard Hot 100 No. 1 singles and fan favorites. I don't have much information, but I did confirm on the official site that The Zombies will be performing on The Late Show with Stephen Colbert tonight, Friday, Oct. 30, 2015. Austin, TX—October 30, 2015—Austin City Limits (ACL) showcases two of today’s most original and exciting live acts: Grammy-winning songwriter, vocalist and virtuoso guitarist Gary Clark Jr. in a triumphant return to the ACL stage, and singer-songwriter Courtney Barnett making her ACL debut. Two talked-about artists worthy of the buzz, both rising stars are gaining recognition around the globe for their dynamic live shows. They split the bill in a new episode premiering Saturday, October 31st at 8pm CT/9pm ET as part of ACL’s new Season 41 on PBS. ACL airs weekly on PBS stations nationwide (check local listings for times) and full episodes are made available online for a limited time at http://video.pbs.org/program/austin-city-limits/ immediately following the initial broadcast. The show's official hashtag is #acltv. Austin’s shining star Gary Clark Jr. arrives on ACL’s stage at the top of his game for his second headline performance, this time showcasing songs from the acclaimed new top-10 album The Story of Sonny Boy Slim. The young Texan has had a whirlwind ascent from the Austin club scene to earning slots on festival stages, on the road with superstars Foo Fighters and his own sold-out headlining tour. The LA Times recently hailed him “the most exciting blues-based experimentalist since Jack White.” Clark writes another chapter to his story with this appearance, firmly establishing himself as a sonic force of nature in a confident, blazing five-song set filled with searing, soulful new songs. The guitar phenom opens with a new album highlight “Grinder” and demonstrates his astonishing musical chops with scorching renditions of the deeply personal originals. Closing the thrilling set with the uplifting, gospel-infused anthem “The Healing,” Clark sings with newfound passion, owning the ACL stage and receiving a heartfelt standing ovation. Australian singer/songwriter and guitarist Courtney Barnett released one of the most arresting music debuts in years, 2015’s Sometimes I Sit and Think, and Sometimes I Just Sit, and is receiving critical acclaim in spades: Rolling Stonehails Barnett “one of rock’s most beguiling young stars and deftest lyricists,” calling the album “2015’s sharpest debut”. Paste says she’s “one of the most charming, whipsmart performers currently touring the world,” and NPR raves “the new album will thrill any fan of smart, biting guitar driven rock,” calling her “the best lyricist in rock music today.” Spin calls it “one of the most thrilling albums you’ll hear this year,” and hails the garage rocker a “goddamn rock star.” Riding the wave of media acclaim, Barnett proves she has the talent to match in her standout ACL debut. The six-song set is a great introduction to her signature style: straightforward, four-chord crunch, mixing witty, often hilarious, occasionally even heartbreaking observations with unflinching self-assessment. Aided by her tight band featuring bassist Bones Sloane and drummer Dave Mudie, she brings the ACL set to a crashing close with the crowd-favorite single “Pedestrian at Best,” proving she’s nothing of the sort, but one of the most distinctive and compelling new voices in modern rock. "Gary Clark Jr. and Courtney Barnett are the rock stars of tomorrow, if not today, and they're doing it the old-fashioned way - with their guitars,” says ACL executive producer Terry Lickona. “They are both blazing different trails, but they are totally original, and that's why this makes for such a great double bill!" The complete line-up for the full 14-week season, including seven new episodes to air beginning January 2016, will be announced at a later date. Viewers can visit acltv.com for news regarding future tapings, episode schedules and live stream updates. American music is front and center on the latest albums from indie alt-country rockers Supersuckers, singer-songwriter Peter Case, Southern rock giants Lynyrd Skynyrd and songstress Danielle Nicole. There is also an outstanding tribute titled Cold and Bitter Tears: The Songs of Ted Hawkins that features a number of great Americana artists. Tell me more: Irreverent and honest, Supersuckers are an American treasure. Having released more than 20 albums over the past 25 years, singer Eddie Spaghetti and company are on the top of their game on the newly-released "Holdin' The Bag." The band's characteristic freewheeling approach works wonder on a batch of songs that are as melodic as they are lyrically sharp. The delightful country-styled "High and Outside," cow punk "Man On A Mission" and a lovely reworked sing-along cover of Hank Williams Jr. cover "All My Rowdy Friends (Have Settled Down)" are among the standouts here. Information: Acetate.com. Tell me more: Acclaimed singer-songwriter Peter Case has long been a leading voice on the music scene, dating back to the mid 1970s when he was a member of indie melodic rockers the Nerves before finding more acclaim as the leader of the Plimsouls and his subsequent solo career. His new album, Hwy 62, marks his first album release since 2010's "Wig!" and this disc finds Case seemingly building on a wide range of themes inspired by the highway that runs from Juarez, Mexico to Niagara Falls on the Canada-U.S. border. Having grown up one block away from U.S. Route 62 in Hamburg, New York, highlights include the tenderhearted "Water From A Stone," textured folk tale "If I Go Crazy," the sparse acoustic title track and a stellar acoustic cover of Bob Dylan's "Long Time Gone." Guitarist Ben Harper and drummer D.J. Bonebrake are among the notables who lend their talents to the tracking on "Hwy 62." Information: petercase.com. Tell me more: Few bands have persevered through challenge as strongly as Rock and Roll Hall of Famers Lynyrd Skynyrd. From the 1977 plane crash that took the lives of three of its members to the death of original drummer Bob Burns earlier this year and original guitarist Gary Rossington's heart attack on Oct. 8, 2015, the Florida-spawned band brings that undercurrent of survival to the stage whenever they perform. The aptly-titled "'L h-'nérd 'Skin-'nérd and Second Helping" features the rockers covering their first two studio albums in their entirety; recorded at the Florida Theatre in the band's hometown of Jacksonville, Florida, the performance is powerful and ultimately as triumphant as Lynyrd Skynyrd itself. "'L h-'nérd 'Skin-'nérd and Second Helping" is available as a DVD + 2 CD physical set exclusively at Walmart. The collection is also available on standard DVD, Blu-ray and digital formats. Information: eagle-rock.com. Tell me more: New Orleans R&B, gospel and Memphis soul inform the sound of singer-bassist Danielle Nicole (formerly of Trampled Under Foot) on her winning new solo debut "Wolf Den." A young singer of remarkable power and artistry, Nicole's vocals immerse the listener in the slow-burning Louisiana blues of "How You Gonna Do Me Like That," the solid kiss-off blues rocker "You Only Need Me When You're Down" and a smooth cover of the R&B favorite "Breaking Up Somebody's Home," the latter featuring guest guitarist Luther Dickinson of North Mississippi Allstars fame. Information: ConcordMusicGroup.com. Tell me more: Time has a way of celebrating the greats, even if it takes awhile. The Mississippi native who became a Venice Beach, California street performer, Ted Hawkins suffered a stroke and died Jan. 1, 1995 just as he was gaining widespread acclaim for his masterful songs and big voice. Hawkins was only 58. Now more than a dozen contemporary Americana and roots music champions have banded together to contribute versions of Hawkins' material on Cold and Bitter Tears: The Songs of Ted Hawkins. Hawkins' style was rooted in blues, but the material here clearly spans from that style to authentic country folk and rootsy storytelling. Highlights on "Cold and Bitter Tears" include the Appalachia-soaked ballad "Big Things" courtesy of James McMurtry, the beautiful traditional country "Cold and Bitter Tears" from Aussie songstress Kasey Chambers (with her father Bill Chambers), and the lovely "Happy Hour" from singer Sunny Sweeney. Information: eight30records.com. 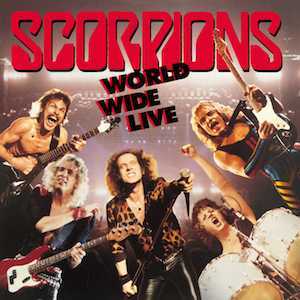 As hard as it is to believe, German hard rockers The Scorpions are celebrating 50 years of music making. 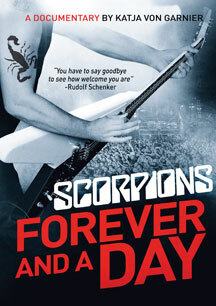 The Scorpions "Forever And A Day"
The new fully authorized Scorpions documentary Forever and a Day is wrapping up its theatrical run and will come to DVD, Blu-ray, and digital platforms on November 27th (in German with English subtitles). The movie takes a look at the German hard-rock legends' long career, while focusing on the band's Final Sting trek, which initially was intended to be a farewell tour. As the film shows, during the 2011-2012 tour, the band members were so energized by the response from fans that they decided to scrap their retirement plans. Founding Scorpions guitarist Rudolf Schenker says that if you watch Forever and a Day, you can see the veteran rockers come to the realization that they weren't ready to call it quits. Schenker explains, "Seeing all these old fans, the new fans coming, everything was sold out, and getting told by the fans what the music means for them, then we more and more" understood that the time wasn't right for the band to retire. Among the interesting career highlights covered in the movie is The Scorpions' historic 1991 visit to the Kremlin in Moscow to meet Mikhail Gorbachev. The band presented the then-Soviet president with a gold record for its hit ballad "Wind of Change," which celebrated the end of the Cold War. Describing "Wind of Change" as "the soundtrack of the most peaceful revolution on Earth,"Schenker says The Scorpions' visit with Gorbachev was "something very special" since they were the first, and possibly the only, Western band ever invited to the Kremlin. He adds that The Scorpions are still friendly with Gorbachev, who makes an appearance in Forever and a Day commenting about the group and the impact of "Wind of Change." The Scorpions recently wrapped up the 2015 U.S. leg of its 50th anniversary tour, which also is in support of their latest studio album, Return to Forever. 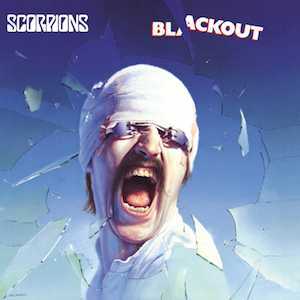 With regard to the band's future, longtime Scorpions guitarist Matthias Jabs says, "It doesn't look like the end is near. You know, we keep ourselves open now. We tried the farewell tour, and we [called] it afterwards the 'went well' tour." The Scorpions will finish the year with a series of European dates in November and December, with more to come in February and March of 2016, including a run of shows in their homeland.Jabs says the band also plans to play more U.S. shows in May, and may visit South America and China as well. Check The-Scorpions.com for the group's confirmed itinerary. Legendary German heavy metal band Scorpions were formed in 1965 by founding member Rudolf Schenker in Hanover, and along with longtime vocalist Klaus Meine and guitarist Matthias Jabs, have forged one of the most remarkable careers in rock ‘n’ roll history. Earlier this year the band released their brand-new album Return to Forever, and now Universal Music Enterprises is reissuing three of the group’s classic albums – 1982’s Blackout, 1984’s Love at First Sting and 1985’s double-LP World Wide Live – on remastered, high-grade, 180-gram vinyl on November 6, 2015. The band Rolling Stone once dubbed “The Heroes of Heavy Metal” achieved their biggest commercial successes with these three albums, which is saying something in a career that has seen them sell millions of records worldwide, with six of their singles going No. 1 in different countries around the world. The band has achieved several major honors, including a star on the Hollywood Rock Walk and a World Music Rock Legend Award, among many accolades. Tell me more: Although the Depeche Mode faithful have long recognized Dave Gahan as a singer of considerable force and artistic range, his name is often sadly overlooked by the rock world at large. Maybe the English singer's latest project Dave Gahan & Soulsavers, a collaboration that is a particularly effective showcase for his vocal powers, will bring more attention to one of modern rock's greatest frontmen. 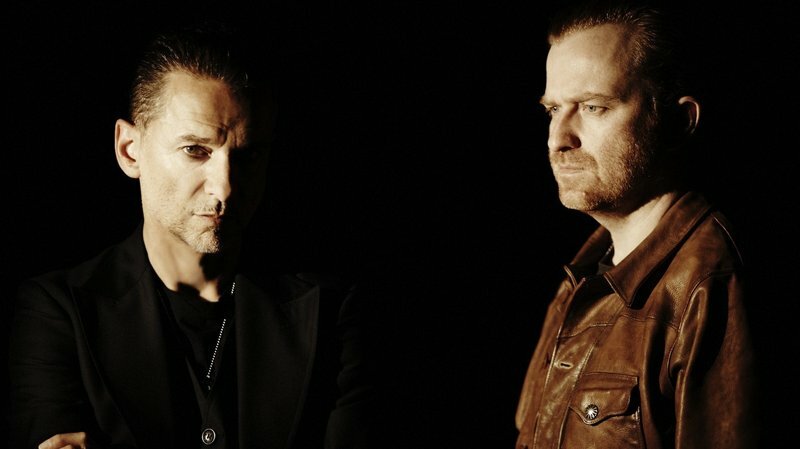 Rather than immerse his rich baritone amidst the electronica of Depeche Mode, Gahan & Soulsavers' Angels & Ghosts is more rooted in blues, gospel and Americana, with the the spirited mix of nine songs recalling recent recordings from the far-flung likes of Other Lives, Florence + the Machine, the Doors and Blur's recent gem The Magic Whip. The blues guitar-drenched "Shine" and ambitious "You Owe Me" are as melodic as they are forceful. "One Thing" is a beautiful ballad adorned by keyboards and a symphonic soundscape; "My Sun" is a sparse foray in its opening section with the song gradually building to a sweeping symphonic finale. Information: davegahan.com. Tell me more: Few bands have fused left-leaning politics and passion with as much firepower as Rage Against The Machine. Ironically, it was a creative effort by English DJ Jon Morter and his wife Tracy in early December 2009 to promote an alternative to the seemingly inevitable "X-Factor" winner scoring the #1 Christmas hit on the UK singles chart that led to the ultimate release of Rage Against The Machine's "Live at Finsbury Park" (available on DVD, Blu-ray and digital video). Rage Against The Machine supported a campaign to have "Killing In The Name" promoted by the influential Morter with agreement that proceeds from the sales of the single would go to charity if the single reached number one by Christmas 2009. Further thrilling fans was when the band performed a free concert in England to celebrate reaching number 1; that concert (staged on June 6, 2010) is as powerful as fans would expect. 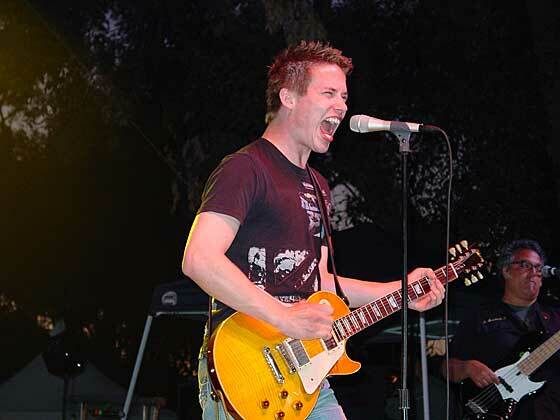 Hard-hitting rockers such as "Bulls On Parade," "Sleep Now In The Fire" and the dramatic set-ending "Killing In The Name" are delivered with the band's groundbreaking rap-metal style. Information: eagle-rock.com. Tell me more: Coming 30 years after his first film score (the delightful music for "Pee-wee's Big Adventure" released in 1985), Danny Elfman's stellar soundtrack for the newly-released movie Goosebumps is yet another achievement for the former frontman for Oingo Boingo. A beautiful and expansive 29-track soundtrack that works even apart from the film, highlights include the lovely "Ferris Wheel," urgent "Ice Rink" and tender "Camcorder." Having scored 30 or so soundtracks and being the recipient of four Academy Award nominations, wouldn't it be nice if the talented GRAMMY and Emmy Award winner received an Oscar - perhaps for this deserving soundtrack. Information: SonyMusicMasterworks.com. Tell me more: Even Beatles fans who possess every studio Beatles album ever released don't necessarily have every John Lennon, Paul McCartney composition. For evidence, look (and listen) no further than the new Billy J. Kramer with The Dakotas retrospective All-Time Greatest Hits (Varese Sarabande Records issued the collection on Oct. 23, 2015). Managed by famed Beatles manager Brian Epstein, Kramer was the beneficiary of a number of Lennon/McCartney songs that comprised a good share of the hits he scored in the early and mid-1960s. The yearning "Bad To Me" and wistful "From A Window" are as strong as anything penned by Lennon and McCartney in the early 1960s (McCartney provided some harmonies on the latter), and the baroque pop gem "I'll Keep You Satisfied" has always struck this writer as evoking the song craft of George Harrison (even though it was penned by Lennon and McCartney). Fans of the early Beatles and Gerry and the Pacemakers will love the 14-track All-Time Greatest Hits, including a lovely take on the Burt Bacharach, Hal David standout "Trains and Boats and Planes." Information: VareseSarabande.com. While Mystery Science Theater 3000 isn’t set a long time ago, in a galaxy far, far away, it is an epic tale of heroes and villains, two robot sidekicks, alien races and snappy one-liners. Joel and Mike, the unlucky witnesses to the cheesiest movies in any galaxy, may not have the force with them, but they have an even more powerful weapon — the riff! In the not too distant future, December 1st, 2015, join the rebel forces at Shout! Factory in the epic battle against four generally grievous movies from the galactic empire once known as American International Pictures. Mystery Science Theater 3000:Vol. XXXIV brings us The Saga of the Viking Women and Their Voyage to the Waters of The Great Sea Serpent, Roger Corman’s chronicle of Viking women on a journey of adventure, jealousy and redemption; War Of The Colossal Beast, the story of how the disfigured and unbalanced Lt. Col. Glenn Manning goes on a rampage, helmed by MST3K mainstay Bert I. Gordon; The Undead, a Corman film about reincarnation and witchcraft; and The She-Creature, a touching tale about a mysterious hypnotist putting his beautiful assistant back in touch with her past life as a sea monster. Mystery Science Theater 3000:Vol. XXXIV also includes the shorts The Home Economics Story and Mr. B Natural. 2016 Experience Hendrix Tour set to roll with Buddy Guy, Billy Cox, Kenny kWayne Shepherd, Zakk Wylde, Dweezil Zappa, Jonny Lang, Eric Johnson and more! You can read my coverage of the Experience Hendrix a year ago at the Greek Theatre in Los Angeles here. Los Angeles, CA, October 26--Following a banner year in which Martha Davis and The Motels have played their most shows since 1985, Vesuvio Entertainment is releasing--at last-- THE MOTELS LIVE AT THE WHISKY A GO-GO-50TH ANNIVERSARY SPECIAL, a lush and tuneful concert film of this iconic artist's landmark performance at the historic Whisky A Go-Go's 50th Anniversary Celebration on DVD and Blu-ray and digitally November 6. While The Bangles, Robbie Krieger and many others had shows marking this Sunset Strip institution’s 50th birthday, only Martha Davis and the Motels captured their show for posterity, marking their first ever hi def, 5.1 audio state of the art concert film. Double Emmy® winning cinematographer Roy H. Wagner (NBC's Elementary; Wes Craven's NIGHTMARE ON ELM STREET 3) photographed the concert film, with choreographer/director Denise Faye (BURLESQUE) in her directorial debut. Ms. Faye is currently directing Cher's global "Dressed to Kill" Tour. Golden Globe® nomineeRosanna Arquette and Grammy® nominee Linda Perry both appear in the film introducing Martha and the band. THE MOTELS LIVE AT THE WHISKY A GO-GO-50TH ANNIVERSARY SPECIAL will now be released by Vesuvio Entertainment on November 6, on DVD and Blu-ray and digitally to more than 200 digital stores and services, from iTunes to Amazon, Spotify to Google Play, Beats to Pandora, Rdio to Deezer, Beatport to Tidal and Shazam to Millward Brown. The Blu-Ray and DVD are distributed by AMPED, the nation's largest supplier of video and audio content. 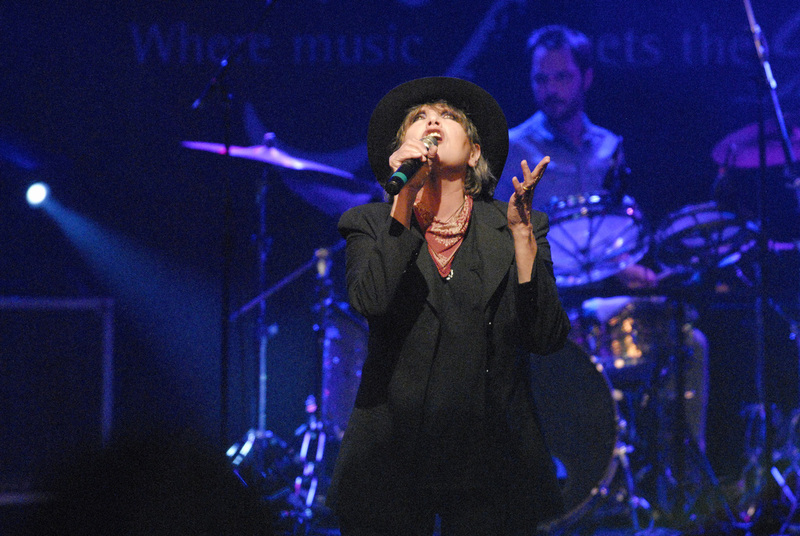 This legendary live concert performance features seventeen of The Motels’ greatest hits, coupled with memorable and unique DVD extras such as interviews, outtakes and other goodies. 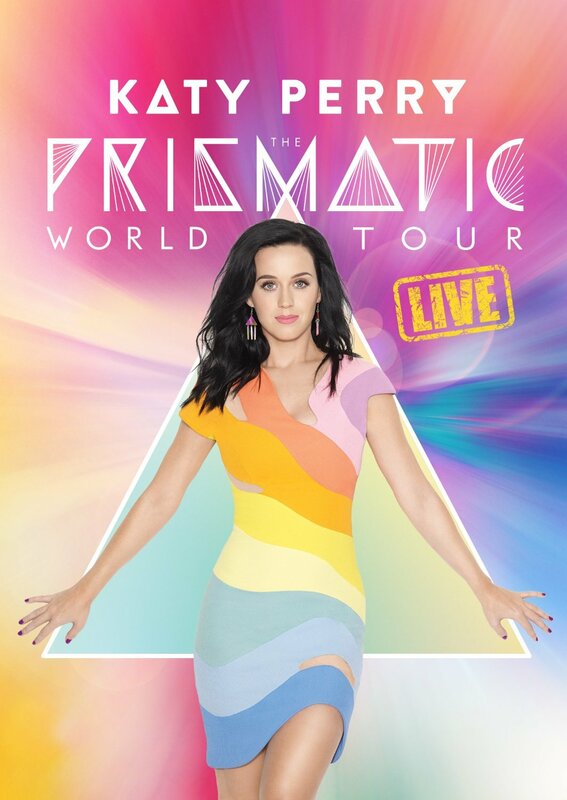 There's also an audio-only version of the concert for music fans. The concert film had its world premiere at the renowned Regent Theatre in Downtown Los Angeles September 21. Bruce Ravid, the original A&R exec at Capitol who signed Martha and the Motels, said, “Martha, the band, the camerawork, and the audio quality are all ace. The Motels magic remains and this absolutely shows why we were so stoked to sign them and to see their success.” Industry executive Russ Reganadds, "I was never involved professionally with The Motels, but always admired Martha Davis' amazing voice and equally great songwriting skills, and this film is really a testament to great music that solidifies The Motels' status as one of the bands that not only launched New Wave, but whose music stands the test of time." From winning an early American Music Award for Best Performance in “Only the Lonely,” to writing Top 10 hits like “Suddenly Last Summer,” Davis is one of the most prolific singer/songwriters to come out of the New Wave movement. In addition to returning to Australia, where “Total Control” became their biggest hit and helped pave the way for their American success, The Motels also did a US Summer 2015 tour with old friends “The Go–Go’s,” as well as doing a headline tour of the East Coast, to renewed critical acclaim.She’s currently touring and recording new material and occasionally performs jazz standards along with a few dazzling rearrangements of Motels classics, teaming up with original Motels’ sax and keys player Marty Jourard, and legendary keyboard player Greg Hawkes from The Cars. That trio is known asDavis, Hawkes & Jourard, LLP --is a bit of a tongue in cheek reference to a law firm, but instead serves up music and not legal advice. NEW YORK October 27, 2015– Vevo and BBC Worldwide today announced a collaboration on the distribution for BBC Radio 1’s Live Lounge performance series. The relationship will see BBC Radio 1 provide an extensive back catalog of over 200 Live Lounge performances on Vevo as well as provide an exclusive home for the majority of future Live Lounge performances internationally. With this agreement BBC Radio 1 gains access to the world’s largest premium music video platform with over 12 billion monthly views and extensive exposure within the coveted millennial viewing audience. “Vevo is one of my favourite apps, so to get Radio 1’s world-famous Live Lounge to its massive audience of new music fans across the globe is utterly fantastic.” said Ben Cooper, Controller, Radio 1 and 1Xtra, BBC. Radio 1’s Live Lounge features a combination of the music industry’s highest profile established and emerging artists performing a small selection of stripped-back songs both within and outside of their musical genre. Live Lounge will be available on Vevo as of November 12th. “I’m delighted that we have been able to broker this deal on behalf of the BBC which benefits the BBC, record labels and artists alike” said Dominic Walker, Director of Radio and Music BBC Worldwide. Vevo is the world’s leading all-premium music video and entertainment platform with over 12 billion monthly views globally. Vevo brings a library of 150,000 HD music videos, exclusive original programming and live concert performances to everyone on the planet who loves music both on-demand through Vevo.com, the mobile web, apps for mobile/tablets and connected TVs, and on Vevo TV, an always-on broadcast-style linear music channel built by expert human programmers. Additionally, Vevo syndicates its catalogue to dozens of sites across the web giving music fans the option to view their favorite programming anywhere, anytime. It is Vevo’s massive scale and reach that has attracted more than 900 brand marketers around the globe since its launch in 2009.